COPENHAGEN, Denmark — The manifesto that the presumed New Zealand shooter published is shorter and "more sloppy" than the one written by a Norwegian right-wing extremist who killed 77 people in 2011, but expresses similar sentiments, a Swedish terror expert said Friday. Magnus Ranstorp of the Swedish National Defense College says the shooter is against mass immigration and "has to some extent the same themes as (Anders Behring) Breivik," who posted his 1,500-page manifesto online before carrying out his deadly attacks. Ranstorp told Swedish radio Friday that the New Zealand shooter, who killed at least 49 people in two mosques in Christchurch on Friday, claims to "have been in contact with Breivik's sympathizers." On July 22, 2011, Breivik killed eight people with a car bomb in Oslo and then opened fire at an island summer camp run by the left-wing Labor Party's youth wing, killing 69. He is serving a 21-year prison sentence. 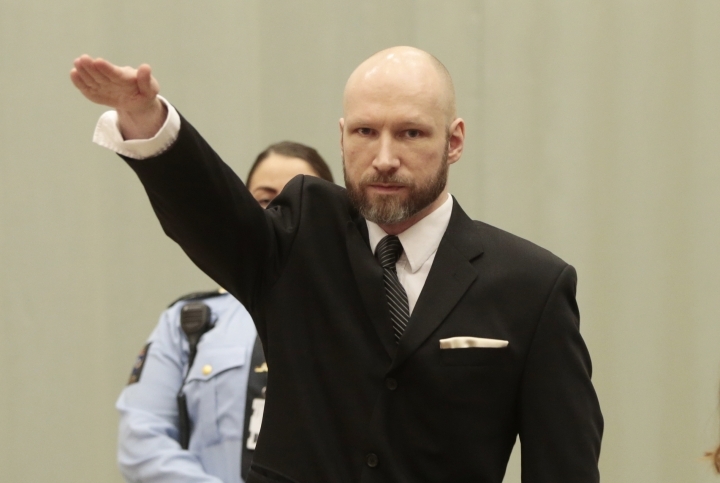 Breivik's lawyer, Oeystein Storrvik, told Norway's VG newspaper that his client has "very limited contacts with the surrounding world so it seems very unlikely that he has had contact." Storrvik was not immediately available for comment. Norwegian Prime Minister Erna Solberg told Norwegian broadcaster NRK that the shooter's manifesto "unfortunately gives associations to a situation in Norway" that she described as "one of the worst in our time." On Twitter, Ranstorp noted that the New Zealand shooter claimed he would leave prison after 27 years and likened himself to late South African President Nelson Mandela, saying he would get the Nobel Peace Prize. "Yet another narcissistic right-wing extremist terrorist who has a distorted fantasy world," Ranstorp wrote.